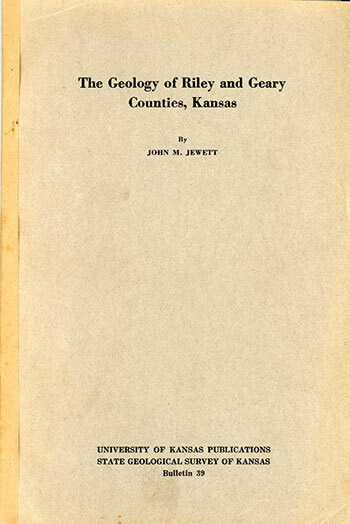 Originally published in 1941 as Kansas Geological Survey Bulletin 39. This is, in general, the original text as published. The information has not been updated. An Acrobat PDF version (26 MB) is also available. You may also wish to visit our web sites on the Geary County and the Riley County geologic maps. Web version Nov. 2000. Original publication date Dec. 1941.